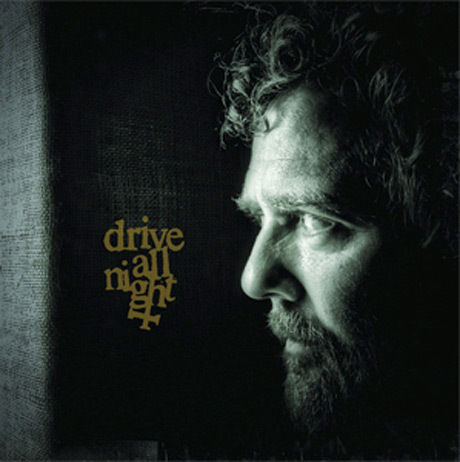 Having gone solo last year for Rhythm and Repose, Frames/Swell Season singer Glen Hansard has now revealed plans for another release under his own name dubbed Drive All Night. Anti- issues the EP on December 3. While the Irish artist is the marquee name on the EP, he did get a few friends to pitch in on the four-song effort. A press release notes that Pearl Jam vocalist Eddie Vedder, Americana figure Joe Henry and Jake Clemons helped out with the title track, a cover of Bruce Springsteen's "Drive All Night." The cover was apparently inspired by Hansard's friendship with Clemons, who happens to be the nephew of the late E. Street Band saxophonist Clarence Clemons. The younger Clemons now also plays with the E. Street Band. All profits from digital sales of the EP will go to Little Kids Rock, a charity that offers music education to public school students. As for the rest of the EP, it features three original songs that trace back to the Rhythm and Repose sessions. You can see the tracklisting down below, where you can also stream "Dive All Night."